Used Hyundai Kona Review - 2017-present | What Car? 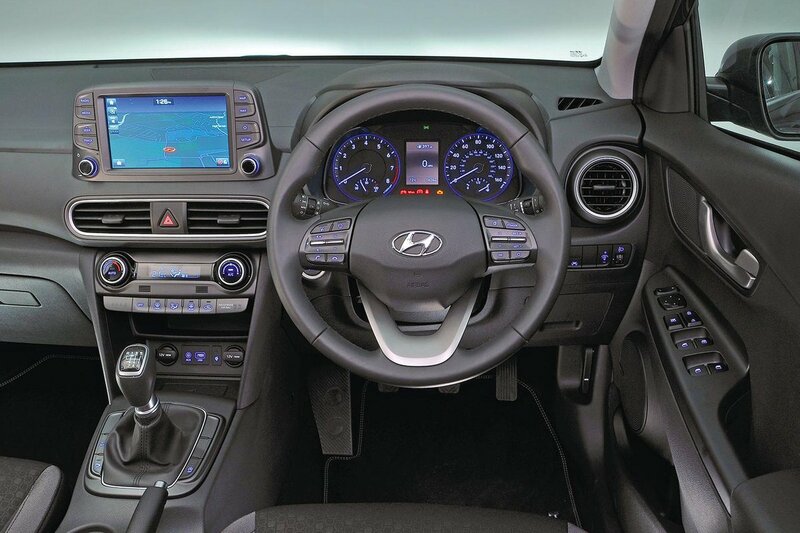 What's the used Hyundai Kona hatchback like? Giving a car striking looks can be a double-edged sword in terms of how it does in the new and used car markets. It makes sense in the new car market, because there’s often the complaint that each new vehicle looks much the same as its competitors. But the trouble is, rocking the boat might not work in the more conservative used car market, where changing fashions might make a vehicle unpopular. 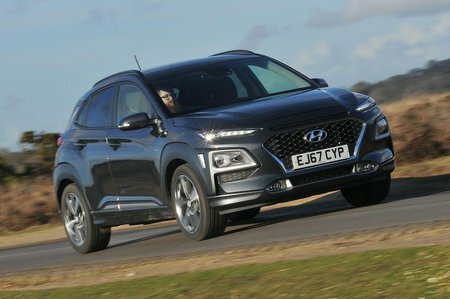 So, does the Hyundai Kona stand out as a used purchase, and is there an exemplary package hiding behind its quirky looks? The engine range in the Kona consists of two petrol engines and one diesel. If you want four-wheel drive, you’ll need to go for the 173bhp 1.6-litre petrol that also comes with a seven-speed automatic gearbox. The more frugal 118bhp 1.0-litre, three-cylinder petrol engine offers decent performance, while the 113bhp and 134bhp 1.6-litre diesels are the thriftiest models in the range, if not the most refined. Inside the Kona. you're greeted by a dashboard that’s awash with hard plastics. Granted, that’s not unlike the Volkswagen T-Roc, but at least you get some coloured pieces that lift things in that car, whereas you’ll need one of the top two tiers of Kona to find similar design flourishes. The Kona is at least well screwed together and comes as standard with plenty of equipment, although autonomous emergency braking isn’t standard unless you have a top-of-the-range Premium GT. Many rivals get this crucial safety as standard across the range. However, from SE and upwards you get electric lumbar support, which is a novelty in this market. Every Kona gets 16in alloy wheels, air conditioning, a DAB radio, cruise control and electric windows, but we’d go for an SE model, because this gets you a 7.0in touchscreen infotainment system with full smartphone compatibility, a rear-view camera and rear parking sensors. The Kona has plenty of grip for a small SUV and a reasonable ride on its smaller 16in and 17in wheels. Larger 18in ones tend to spoil things, especially on rougher stretches of Tarmac. The steering is slightly heavier than that of its competitors, like the Seat Arona, but it is light enough for parking, has consistent weighting at speed and is quite precise. Road and wind noise, while not excessive, is greater than you'll find in many other small SUVs. Space up front is fine and there’s lots of adjustment in the seats and steering wheel. Room for those in the rear is less impressive, and taller occupants will find their knees digging into the hard plastic backing of the front seats – something that will become uncomfortable on longer trips. The Kona's boot volume is smaller than the class average, but four carry-on suitcases should fit in there without too much issue.